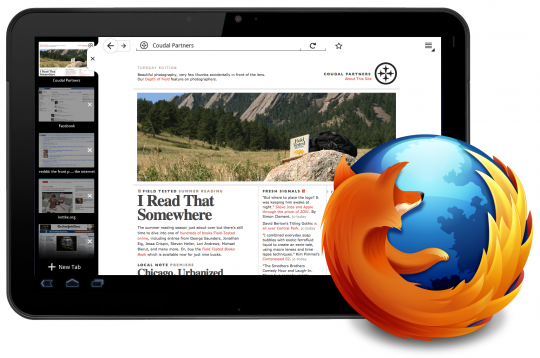 You might have already experienced Firefox on your Android device which is currently only officially supports phones. 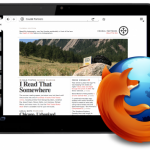 Now soon it will be coming officially on Android tablets with a name called “fennecomb” as announcement has been made on Mozilla blog. As you can see in the picture above in portrait mode that no more misuse of precious space due to multi tabs on the top of the browser. 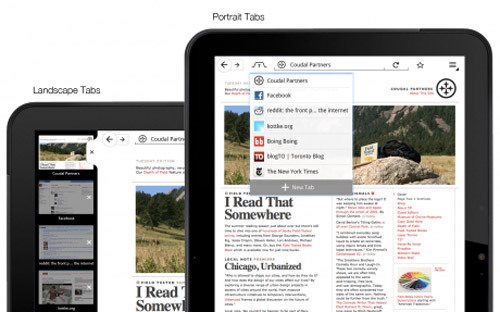 Instead of that tabs have been put together into one group and accessed via a drop down menu. It is still in development stage and no official release date or beta has been announced at the moment which seams to be more teasing after getting details about such exciting features. I prefer sling technology that DISH Network uses to give their customers access to TV everywhere. The sling adapter has been around for a while now and seems to be the easiest way to get TV everywhere with out any additional charges. This allows DISH customers to access all of there programming and DVR content to their mobile device weather it be my Samsung behold phone on my Xoom tablet. I usually watch TV on my home from work on the train and at work I can set up recordings of my favorite programming. A co-worker of mine at DISH told me that customers can buy the sling adapter from DISH for $99. Come and check this out http://bit.ly/mMi9hU.